The EUR/USD keeps trading inside the rising channel. Practically, the market has worked out this wave. For today, we'd look at possible consolidation range. 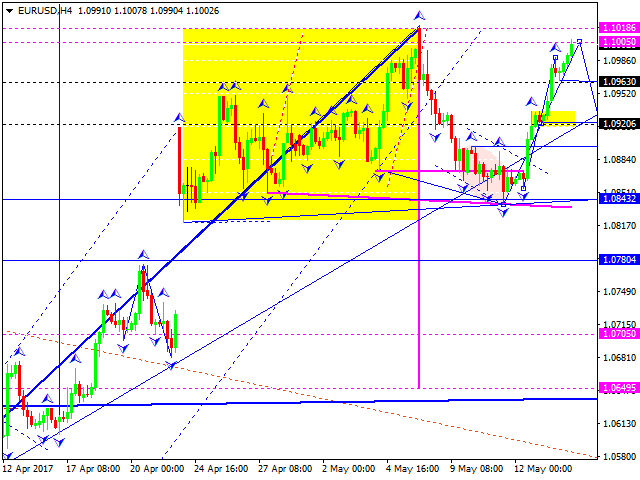 If the lows are broken, we'll consider continuation of the wave to move down towards the 1.0850 level. The GBP/USD currency pair is being traded inside the consolidation range. 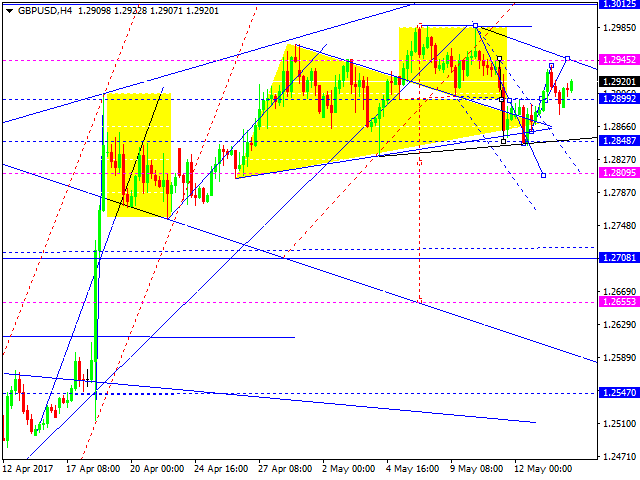 For today we can consider a possible rise of the pair towards 1.2945. Then we can expect the pair to move downwards to 1.2090. Then it can rise towards 1.2899. 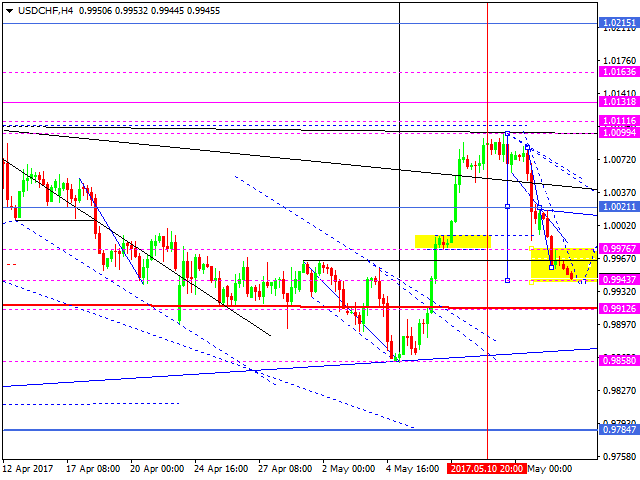 The USD/CHF currency pair is being traded within the declining channel. Practically, the market has worked out the whole its potential. For today, we expect to see the consolidation range being developed. If the pair breaks the range, a new wave towards 1.0100 can occur. The USD/JPY pair is being traded within the 2nd declining impulse. 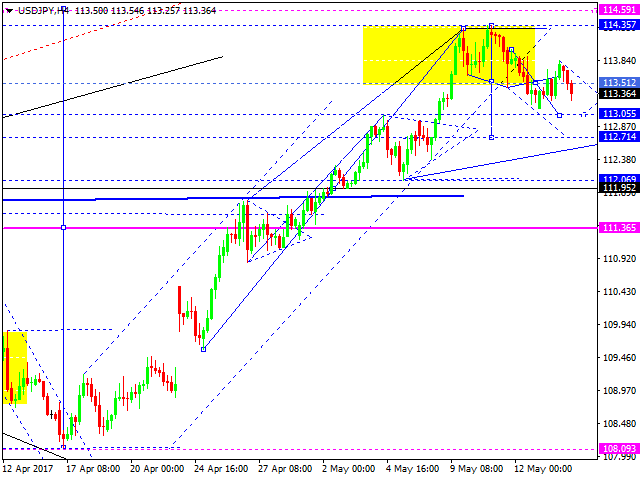 The target is on 113.055 level. Then the pair can rise towards 113.51. Then it can move down to reach 112.71 level. 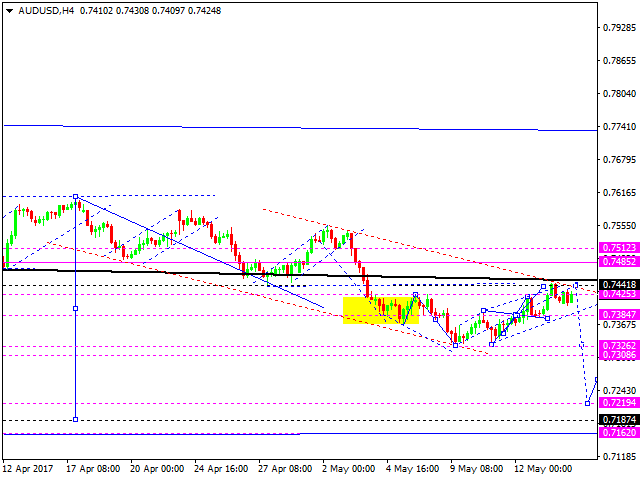 The AUD/USD has formed a descending impulse and its correction. For today, we'd expect the pair decline to break the low of this impulse. The target is on 0.7325. 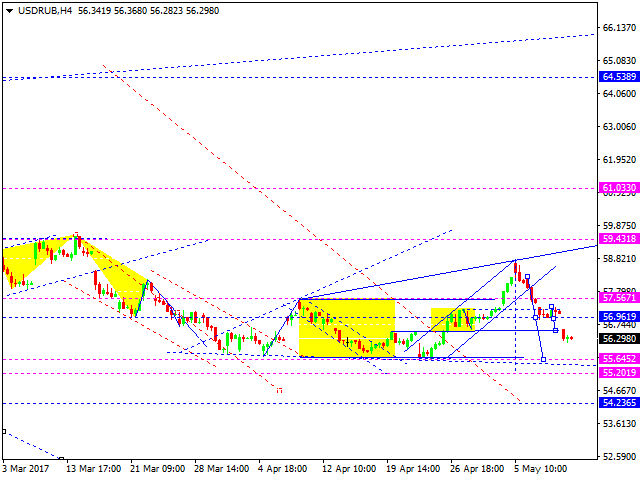 The USD/RUB currency pair is being traded within the 3rd structure to hit the level 55.60. 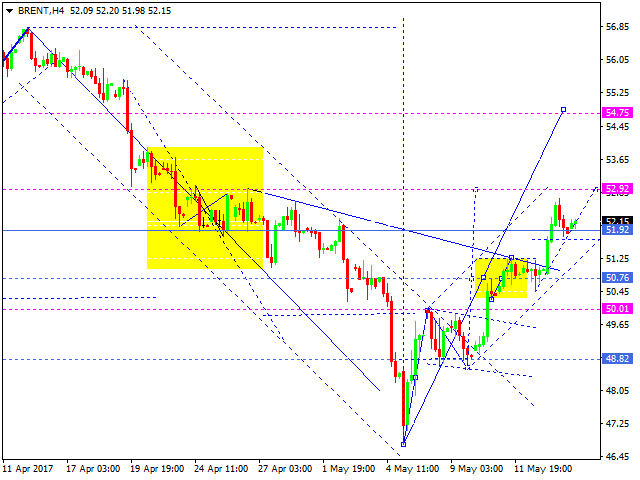 Then it can show a rise towards 56.95. Then it can move down towards 55.20. 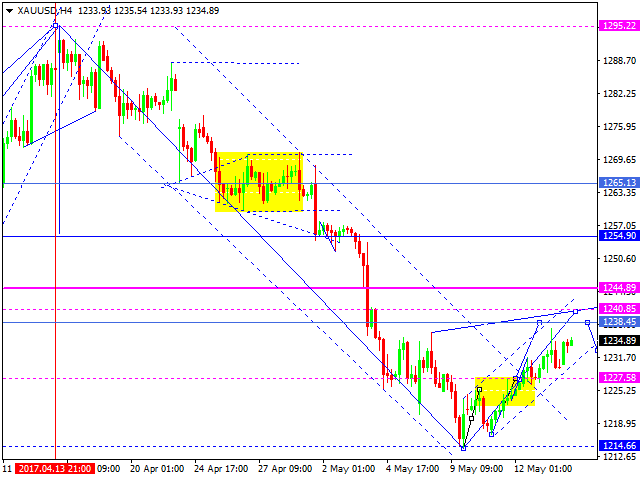 Gold is moving within 3rd ascending structure and tries to reach the level 1238.45. Then we can see a decline towards 1227.60. After that the pair can climb higher to reach 1240.85. The ascending structure is seen as a trend. Oil is moving along the 3rd ascending impulse. The level 52.92 is seen as a target. Then a correction can occur to hit 50.76. After that it can show a rise towards 54.75. Practically, the market is forming the 1st ascending wave towards 59.90.